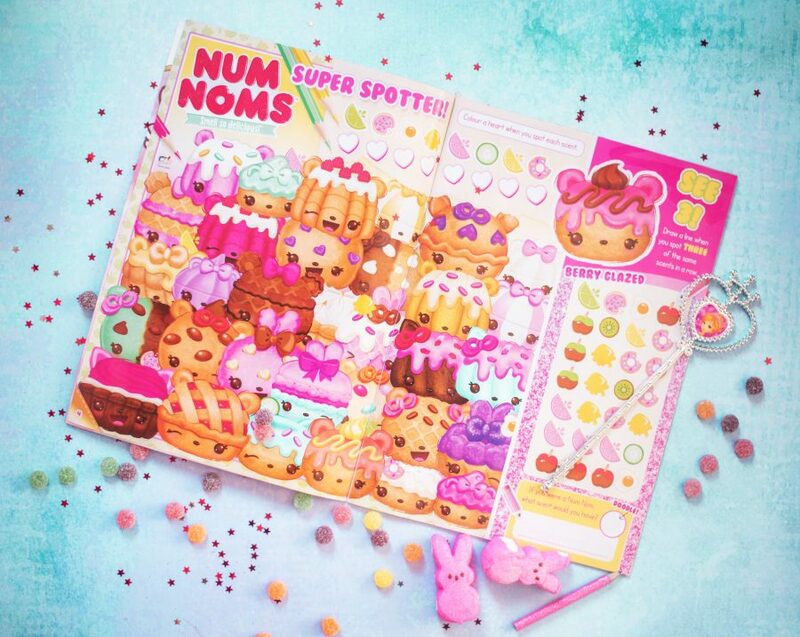 Pink Magazine Review - Num Noms, Disney, Shopkins and More! My boys love magazines and comics as much as I did. They do exactly what I did when I was their age and go straight for the magazines with the free gifts on the front which as a parent drives me crazy – and so now we try very hard to look inside the cover and see what’s actually in there to do when the novelty of the gift has worn off. Today we’ve been conducting a very official Pink Magazine Review. Yes, it’s distinctively pink, but Pink Magazine is not just for girls, as we discovered. 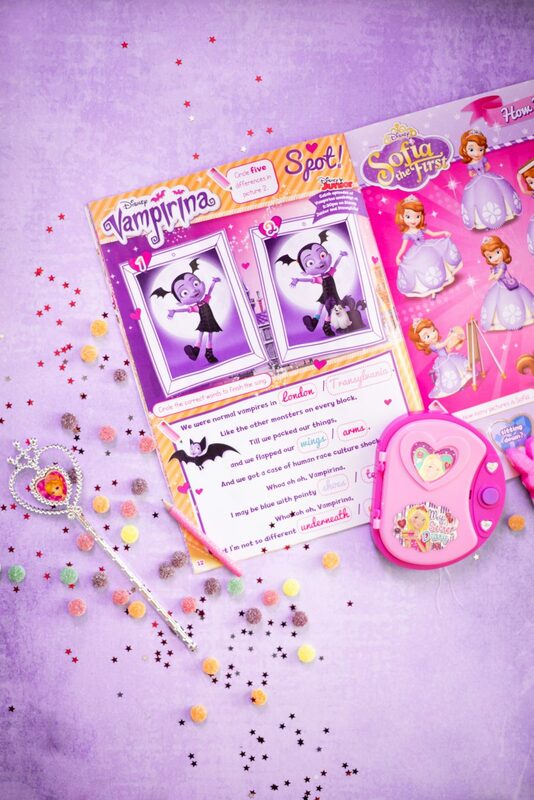 Inside the cover of the 36 page magazine are so many of my boys’ favourites – Num Noms, Shopkins, Shimmer and Shine, LOL Surprise Dolls – and Vampirina! 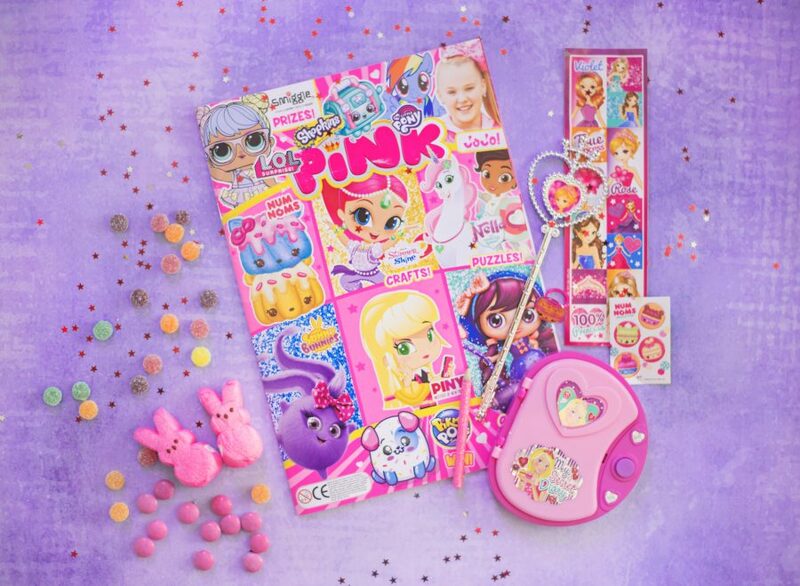 Attached to the cover are quite a few free gifts – a Num Noms ring and stickers, A princess wand and even more stickers, and a secret diary with a set of notes and glittery pink pencil. They all came away from the front of the magazine without ripping it too! There’s just SO much for them to do! We hope you love Pink Magazine as much as our boys do! If you follow Pink Magazine on Twitter and Facebook, there are competitions for subscriptions to various Kennedy Publishing magazines too! Follow here:Pink Magazine on Twitter, Pink Magazine on Facebook. We were compensated for our honest review of Pink Magazine – our opinions are our own. Who are princess post winners? Hello! I don’t work for the magazine I’m afraid – but if you contact them directly, they will be able to help you!